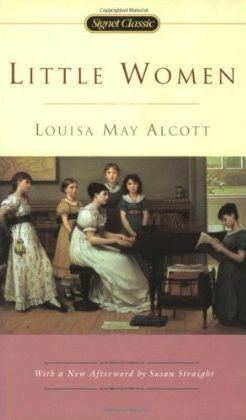 Little Women was one of my favorite books when I was a young girl. I'm currently revisiting this classic, and I'm finding it to be enjoyable in different ways than when I was a young girl. I find more joy now in Marmee and the relationships built by the older girls. I related much more to the young girls growing up and remembered far more details about their youth. After this read, I know my lasting impressions will dwell more with Marmee's teachings and the homes these women are building with their own families as adults. In picturesque nineteenth-century New England, tomboyish Jo, beautiful Meg, fragile Beth, and romantic Amy come of age while their father is off to war. If you haven't read this classic, it's one I'd recommend you check out.